•	Reintroducing a requirement for a rabies blood (titre) test before entry into the UK, together with a wait period post-vaccination which is in line with the incubation period of rabies. •	Reintroducing a requirement for dogs and cats to be treated against ticks before entering the UK. •	The window for tapeworm treatment of dogs before entry into the UK must be shortened from 24-120 hours to 24-48 hours and tapeworm treatment for cats should be reintroduced. •	Increase maximum penalties for those caught illegally importing dogs, together with the introduction of punitive Fixed Penalty Notices. •	The focus on enforcement of the pet travel legislation must be shifted from carriers (i.e. the ferry companies and Eurotunnel) to Government agencies and visual checks of all dogs entering the country need to be undertaken. We have come on leaps and bounds in ensuring that the rights and welfare of animals in the UK is some of the highest in the world. The last Labour Government introduced the Animal Welfare Act 2006 which extended the protections we give to animals and created new offenses for harm to animals. I will do all I can to make sure that these hard-won gains are not lost. 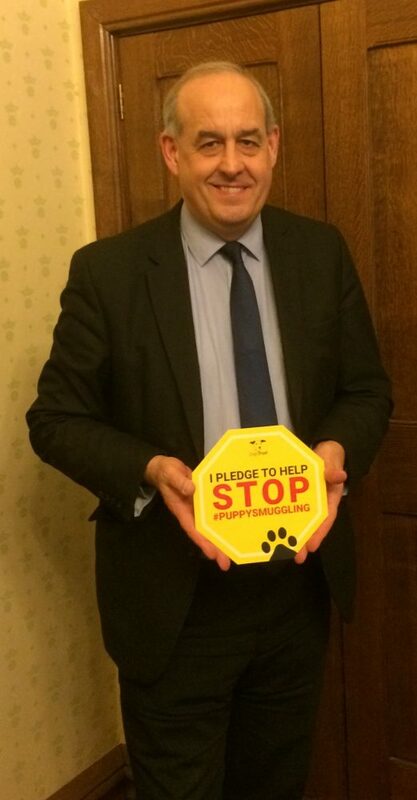 The report by the Dogs Trust in puppy smuggling demonstrated some horrific cases of abuse against dogs being bred abroad and then sold in the UK. I fully support their five action points to bring an end to this cruel practice and hope that the UK Government will implement their recommendations as soon as possible. Not only is it important that we implement tougher measures at our borders to ensure the welfare of those dogs being smuggled into the UK, but it is important to maintain our excellent biosecurity for animals already hear. The UK is rabies free precisely because of our due diligence at the border and we cannot let that slip.